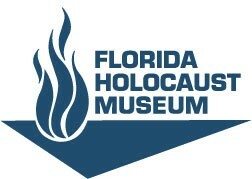 -- The Florida Holocaust Museum today announces new events to complement the two Civil Rights-related exhibitions: This Light of Ours: Activist Photographers of the Civil Rights Movement and The FHM original exhibition Beaches, Benches and Boycotts: The Civil Rights Movement in Tampa Bay. Both exhibitions will be on display through December 1, 2015. "Beaches, Benches and Boycotts is the first exhibition to focus on the Civil Rights Movement in Tampa Bay and Sarasota. Through the exhibitions, we hope to engage our communities in conversations about our shared history, a first step toward creating a future without intolerance and hate," said Elizabeth Gelman, Executive Director of The Florida Holocaust Museum. On September 12 at 7:00pm, listen to live music and readings, and take part in the "Civil Rights Candlelight Vigil," presented by the Dr. Carter G. Woodson African American Museum in partnership with The FHM. This event is free and open to the public at the Dr. Carter G. Woodson African American Museum, located at 2240 9th Ave S, St. Petersburg, FL. For more information call the Dr. Carter G. Woodson Museum at (727) 323-1104. On September 17 at 6:30pm, engage in a panel discussion featuring local journalists, moderated by Ernest Hooper, Tampa Bay Times columnist and East Hillsborough Bureau Chief. Free and open to the public at The FHM. And on September 24 at 5:30pm, the League of Women Voters of the St. Petersburg Area and The FHM will host another Florida Blue Community Conversation entitled "Voices of Experience: Personal Stories of Civil Rights Struggle and Insights on the Voting Rights Act" at Pinellas Technical College, located at 901 34th Street N, St. Petersburg, FL. Presented in partnership with the Pinellas County Urban League and Pinellas Technical College, this event is free and open to the public. Community Conversations are brought to you through our Programmatic Partnership with Florida Blue. On September 8 at 6:00pm, attend the Opening Reception of My Soul Looks Back: The Decades of Day Work Photographic Exhibit. The exhibit of archival photographs and new original portraits by photographer Boyzell Hosey showcases the people who shared their stories about the Black maids from the 1930s through the 1990s and the White families that employed them.This event is free and open to the public at the Dr. Carter G. Woodson African American Museum, located at 2240 9th Ave S, St. Petersburg, FL. The exhibit will be on display September 8-12. For more information call the Dr. Carter Woodson Museum at (727) 323-1104. On September 8-12, participate in Story Days in Tampa Bay. Join Your Real Stories for the 2nd Annual Story Days in Tampa Bay storytelling festival. For a complete list of festival events, visit Your Real Stories online at www.yourrealstories.org. This Light of Ours: Activist Photographers of the Civil Rights Movement, generously presented by Bank of America, shows the Civil Rights Movement through the work and voices of nine activist photographers - men and women who chose to document the national struggle against segregation and other forms of race-based disenfranchisement from within the movement. Unlike images produced by photojournalists who covered breaking news events, most of the photographers in this exhibition were affiliated with the Student Nonviolent Coordinating Committee and documented its activities by focusing on the student activists and local people who together made the movement happen. The exhibition is comprised of 157 black and white photographs, the majority of which were taken in Mississippi and Alabama from 1963 to 1966. Clearwater resident Bob Fletcher is one of the photographers whose work is featured in This Light of Ours. He documented "Bloody Sunday" in Selma and spent over two decades capturing the Civil Rights Movement from Harlem to Mississippi, and also went overseas to film the black culture and the struggle for independence in Africa. Fletcher went to law school at New York University in 1987 and currently practices law in New York and Florida. This Light of Ours is an exhibition organized by the Center for Documentary Expression and Art. Major support for the exhibition has been provided by the Bruce W. Bastian Foundation and the National Endowment for the Arts. Beaches, Benches and Boycotts: The Civil Rights Movement in Tampa Bay, an original exhibition of The Florida Holocaust Museum presented by the Tampa Bay Times, will be on display in conjunction with This Light of Ours. The focus of most Civil Rights history is written about places like Alabama and Mississippi, as if few challenges occurred elsewhere. Tampa Bay remained racially segregated at the dawn of the Civil Rights era and many local institutions and establishments held out on integration for several years after Brown v. Board of Education and the Civil Rights Act of 1964. Under "Jim Crow" every aspect of African American life in Tampa, St. Petersburg, Sarasota, and the surrounding cities was segregated, including neighborhoods, schools, hospitals, restaurants, beaches, and more. The Civil Rights Movement in Tampa Bay may have had characteristics similar to other areas of the South, but its stories are its own. Beaches, Benches and Boycotts features documents, advertisements, photographs and other memorabilia that accurately present the history of Civil Rights in our Tampa Bay-Sarasota communities, while illuminating our region's struggle with racial equality and shining a light on the local leaders who changed our cities. Special thanks to media partners Tampa Bay Times, Bright House Networks, and The Weekly Challenger, as well as support from the State of Florida for making these exhibitions possible. Additional thanks to Community Partners Watergarden Inn and Sylvia's Restaurant for their support. The Florida Holocaust Museum honors the memory of millions of innocent men, women and children who suffered or died in the Holocaust. The Museum is dedicated to teaching members of all races and cultures the inherent worth and dignity of human life in order to prevent future genocides.